Enjoy the best inspirational, motivational, positive, funny and famous quotes by Alfred Moisiu. Use words and picture quotations to push forward and inspire you keep going in life! 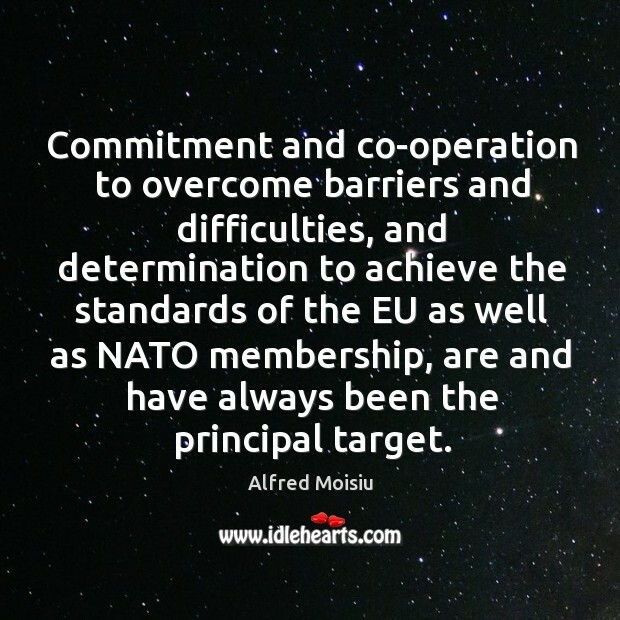 Commitment and co-operation to overcome barriers and difficulties, and determination to achieve the standards of the EU as well as NATO membership, are and have always been the principal target.